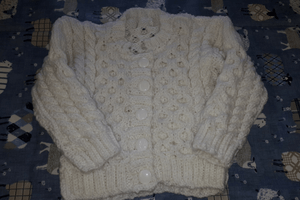 The beautiful child’s Aran cardigan had been started by a Geoff J, a brilliant knitter who actually did not come to the Friday gatherings. However, as an ‘External Member,’ he frequently knitted items for the various charities we support. Recently he became unwell and has needed to take a break from knitting. He kindly gave the cardigan pattern to the Knitting Friends. One member took it home, finished it off and is looking forward to seeing it on her little grand-daughter. 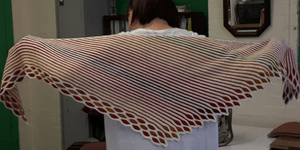 Another member of the group Linda, is a superb shawl knitter, along with her many other talents. The patterns and yarns she uses are simply gorgeous; she tells us that the shawls are easy and quick to knit but we don’t believe her. 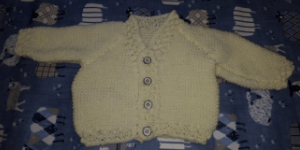 The baby cardigan is for a baby that’s due in October. Grand-dad doesn’t want to know the gender so Grandma can’t knit anything that will give this away. 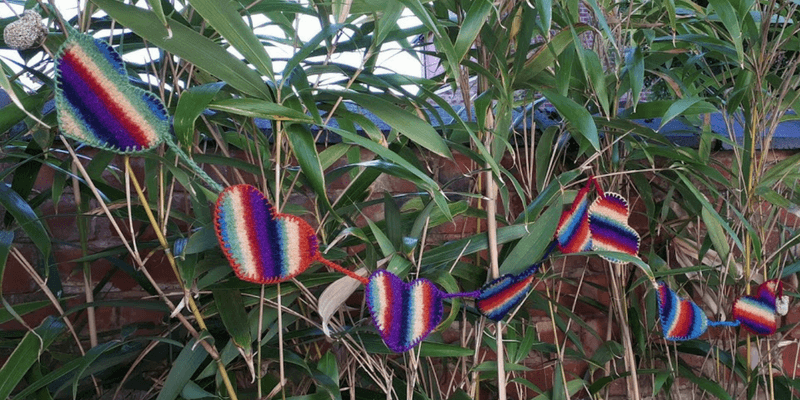 The Knitting Friends of Heaton Moor Park meet every Friday morning from 10-12 in the Park Pavilion. Novice or experiences knitters are very welcome to come along and join in.